One of the best decisions Antonio and I made this year was to become scuba diving instructors. 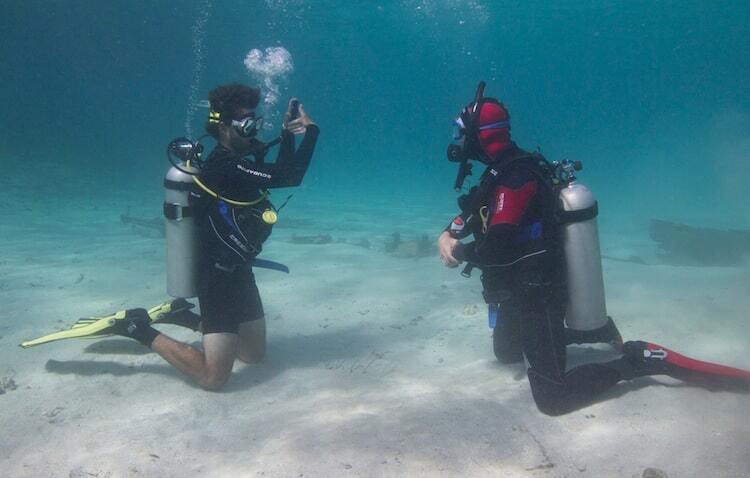 Not only does working in the dive industry allow us to work and travel the all over the world, it’s a chance to introduce people to the underwater world, expand their comfort zone and help them discover an activity that they love. Oh and if you chose wisely you get paid to dive the top dive sites in the world and live on tropical islands. Amanda demonstrating some dive skills. At the end of February Antonio and I passed the PADI (Professional Association of Diving Instructors) exam to become certified PADI Scuba Diving Instructors. We printed out a stack of CVs, went all over the island of Roatan and handed them out to nearly every dive shop. Our hopes had been to land our first full time jobs as instructors. Most places told us they didn’t need anyone at the moment. A week passed, no calls…no jobs. Just when all hope was lost, the phone finally rang! A dive shop had someone walk in that afternoon who wanted to take the advanced course and they didn’t have an instructor available…could I be there tomorrow to teach it? A few days later Antonio was called in to teach a course. We worked freelance, picking up the overflow from the busy season on the island. We still didn’t have offers for full-time positions but it was a start. By the end of March, between us, we had worked at 7 different shops and had certified over 20 people with various levels of certifications. We began to enjoy the flexibility that the freelance lifestyle offered and stopped looking for full time work. While we didn’t have stability we had something even better, freedom. We weren’t tied down to one center, we weren’t involved in shop politics and we could choose our days off. Working freelance was exciting, I never knew who would call. 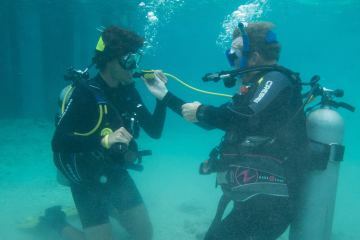 I had the opportunity to work with lots of different dive centers, instructors and dive masters. Each day was an opportunity to pick up tips and tricks. I was teaching and learning at the same time. While our experience for the most part was great, it’s not for everyone. To be a successful freelancer (or at least pay your bills) you need to be in the right place at the right time. There were slow times were we had no work for over a week and then there were times we had 4 shops calling us on the same day. It was “swings and roundabouts.” If you are a person who needs routine and order in your life, freelance is not for you. Nathan and his son Max. 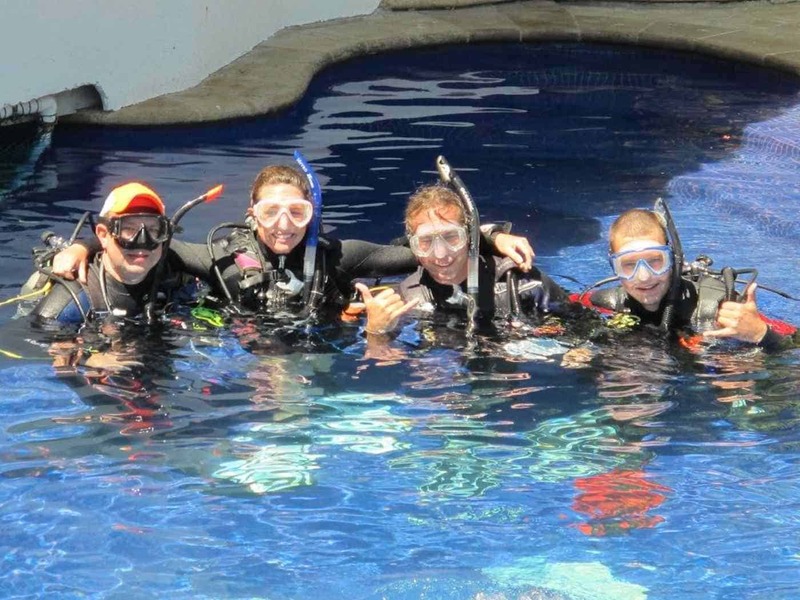 Antonio’s advanced and open water students. WHO IS THE FREELANCE SCUBA INSTRUCTOR LIFESTYLE FOR? 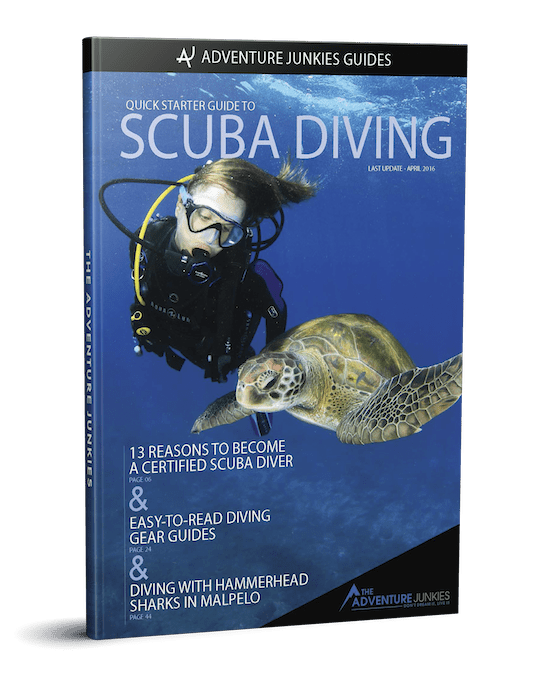 As you can imagine, diving skills, knowledge, certifications and experience are all part of the requirements to be a scuba diving instructor but there’s more to being a successful than a certification card. 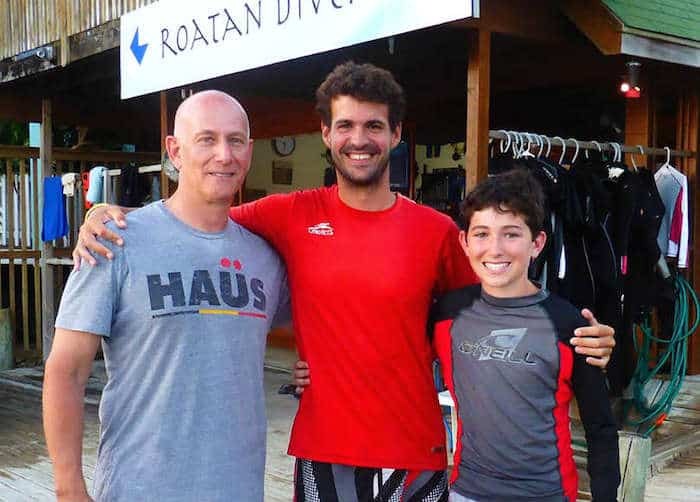 Here are just a few characteristics I’ve seen in instructors who love what they do and have made a successful career out of teaching people to dive. 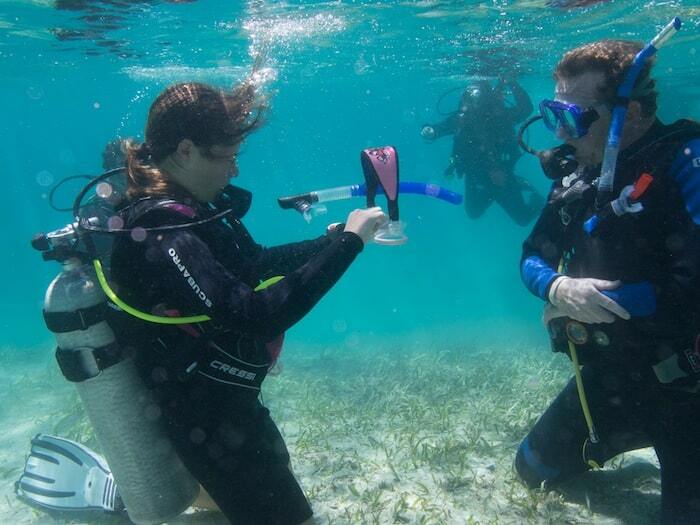 Top dive locations attract people from all over the world so you will likely meet new people everyday. Diving is an industry based on tourism so it comes down to people, I haven’t met one shy dive instructor yet. It’s not a job for people who think they will tan and sip cocktails on the beach all day. Working in diving is physically demanding. Loading tanks, setting up and cleaning equipment for a boat load of people is hard work. 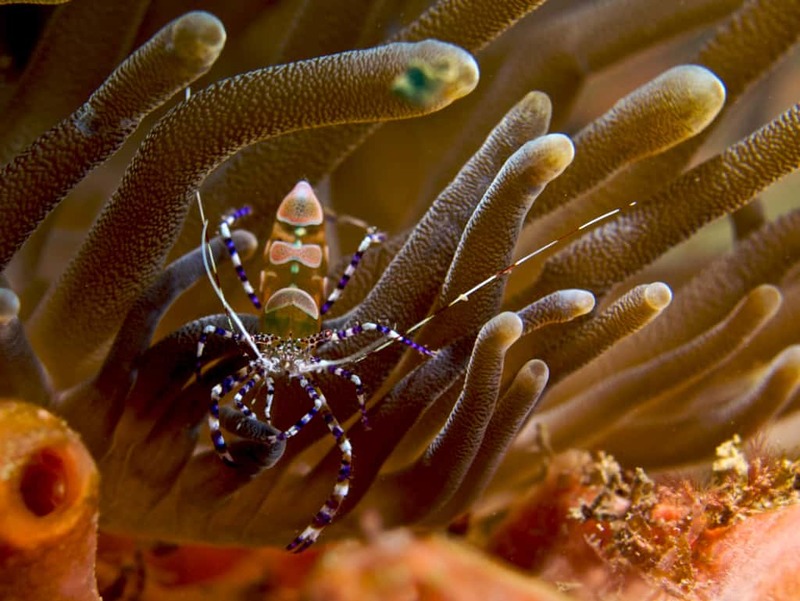 You don’t need a degree in marine biology to be a scuba instructor but having a strong interest in marine life will enable you to tell your students about the fish and corals they’ve seen while diving. Also, you can avoid burn out because there is always some species you have never seen before. The urge to discover and learn keeps you going back for more. Obviously the more languages you speak the more people you can teach. The more people you can teach the more money you will potentially earn. English, French, German, Italian, Russian and Mandarin are some of the most sought after languages by dive centers (depending on region). When times are slow, without the security of a permanent job you can have a few unplanned days or even weeks off. You have to have something to keep your mind busy out of the water. Working as a freelance instructor gives you the opportunity to see how different shops work and how you get along with the people that you work with before you commit to working full time for one shop. If you are only staying a few months in one place, freelance could be a great opportunity to make some extra cash without going through a long hiring process. 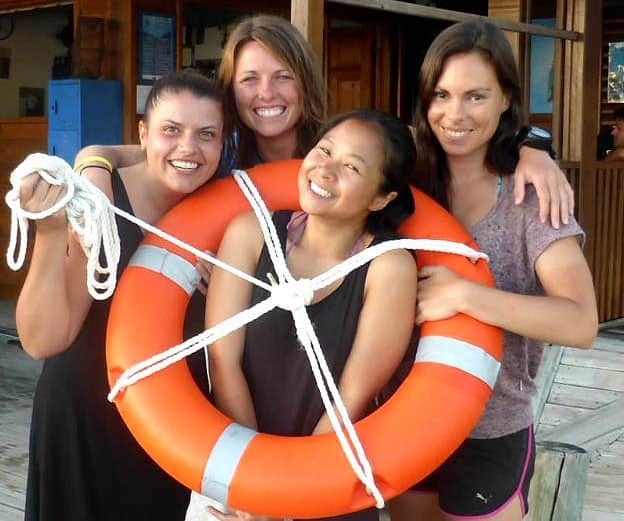 Iga, Eva and Steph…my rescue diver students and new friends from Malaysia and Poland. Freelance work has it’s ups and downs like any job but if you are like us the downs are made up by the freedom it allows. If you want to see what the diving is like in Roatan read our post, Scuba Diving in Roatan.